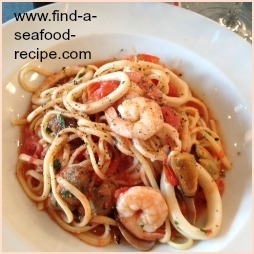 There's no doubt - seafood pasta recipes are the tops. 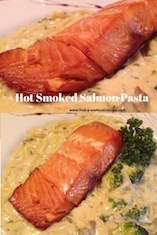 The versatility of the combination - well, there's no limit to the dishes you can prepare. 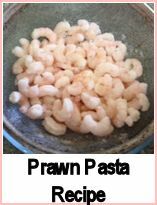 There must be an infinite number of combinations and I am going to give you just a selection of basic seafood and fish pasta recipes for you to 'mix and match'. 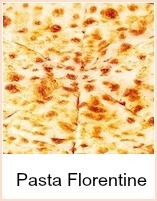 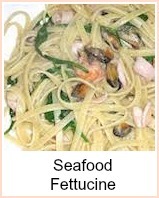 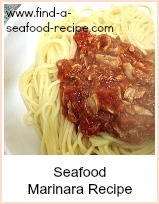 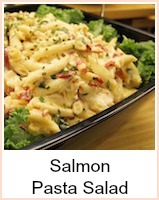 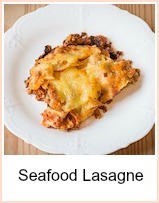 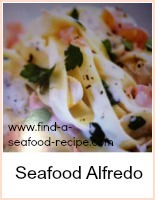 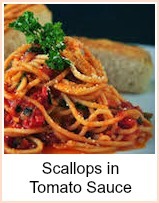 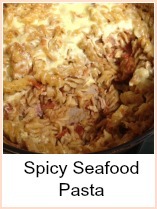 There are classic seafood pasta recipes, lasagne, pasta salads, seafood alfredo and some pasta bakes. 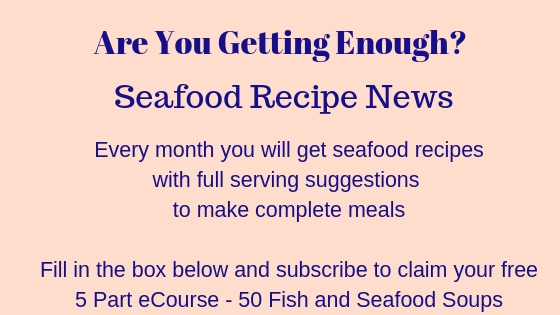 Follow the links below to see what's on offer. 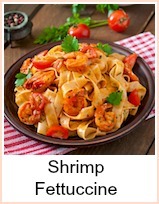 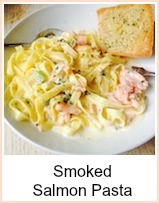 Prawns over fettucine with instructions for making garlic bread without switching on your oven. 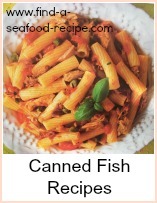 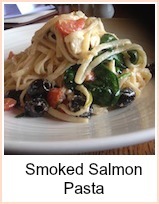 Some of my favourites here - a lovely tuna pasta salad and a pasta salad to eat with fish. 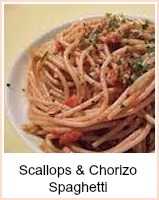 Tasty chirozo sausage pan fried with scallops and peppers, all served with spaghetti. 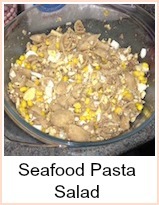 Very quick and simple to prepare.